Recently, I played my first two 40k games in quite a while. The wolves are finally in a place where there are enough finished and based that I can get some games in regularly while working on the remaining models. I also borrowed a couple of Casey's vanilla Marines to proxy things and pad out the list where necessary. I wanted to get a full 1850 points together, but last week, I was in NJ to go attend the post-Wrestlemanina Monday Night Raw (which was great, if you're into that sort of thing) and this past weekend I was at a wedding, so I haven't had much hobby time. I managed a 1500 game and then a 1750. The 1500 at first probably for the best, I'm rusty on the 6th rules and entirely new to the Wolves. The 1500 point game went my way, but I got walloped in the 1750. Good news, though, is I'm getting a better feel for the army and for how I need to play them. Obviously, they're very different from my old Daemons. As a close combat heavy army, though, I have to say, overwatch can bite my bum. 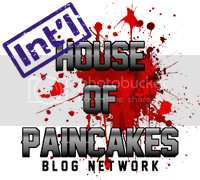 Probably nothing to new to you who have been playing regularly. I'm still testing things out and working my way toward a solid 1850 point list for NOVA. I am very pleased with how the squad of Long Fangs has performed hanging out by the Aegis Defense Line and manning the quad gun. Split fire is rad, rad, rad. Hopefully I'll get a chance soon to test it out with a list that has fliers, rather than the tank-heavy IG list I've been playing against. I ran the Thunderwolf Cav for the first time but unfortunately they got chewed up before I could really test their might out against anything. 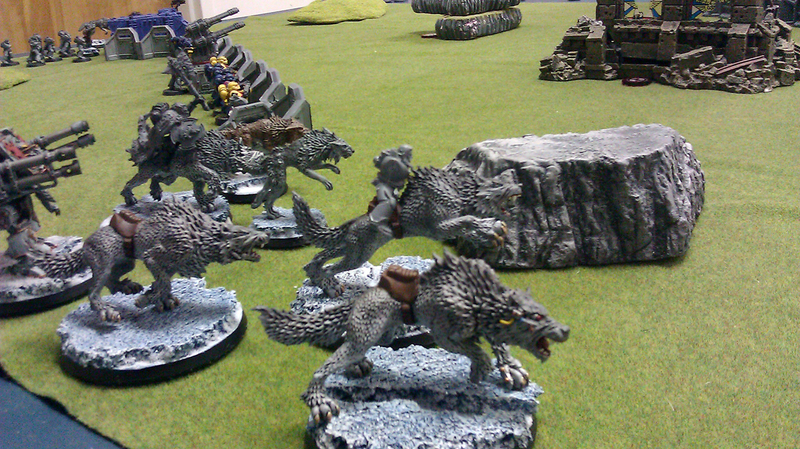 Same with the Fenrisian wolves, but I ran a small unit of five instead of the ten I plan to run in the end. I've not been excited by the Rhino, so I'll likely drop that. I need to get my hands on another drop pod so I can try using 3 of them, which has been part of the ultimate plan for a while now. Hopefully I can get my hands on another opponent for next week. I don't want to just get as many practice games as possible, I also want them to be against many different armies. Nice Ice & Snow basing tutorial by the way. Am probably going to use it on my next batch of Wolves. While good advice, it doesn't do me much good against a tank-heavy IG list where troops sit in them all game. I have to get in his face myself or just get shot off the board (which happened a lot anyway). Thank you! LOTR figures seem popular for a lot of people learning to paint, might want to start getting your family hooked with those. Not that I endorse getting others addicted to our plastic crack habit or anything... (but I do).